After upgrading Gnome to 3.32, super key has stopped to work. When I tried to bind Win/Super key via Gnome Control Center to some Shortcut, it showed me I pressed play/pause button. Any ideas what might cause this issue? EDIT: Something mysteriously switched it off (have no idea what) and I had to turn it on via Windows app for my laptop. Occurred exactly on the day when I upgraded gnome to version 3.32, therefore I thought it was due to that (maybe it was, who knows). Hmm, so the only solution is switching to another DE or waiting for fix from gnome devs ? @melkir This is not my problem … I can login, but environment is black. I will take a picture. EDIT: This my screen after login. Since GNOME 3.18.0 I am unable to launch DE (other “ttys” work). Only cursor is available and small white dot is appearing in the left of top corner. I am on linux-lts and I am using catalyst drivers from vi0l0 repo (gpu: r9 380). Is that just error which came with 3.18.0, incompatibile drivers ? Did anyone notice this ? Same here (cnchi 0.10.7), but I tried to find where is the problem, it is in one of cnchi scripts (probably) advanced.py located in /usr/share/cnchi/cnchi/installation/. 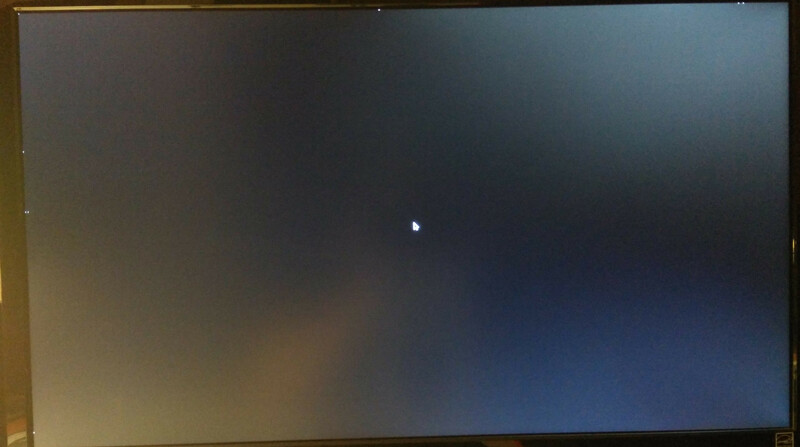 With my amateur knowledges, I have replaced all words “fat” with fat32 and it is installing without this error at the moment (kde4, gummiboot, ext4 root partition and ext4 home partition ), I will let you know if it works (sorry for my english). Worked, but another error appeared which is few posts above (not permissions to write to /install/sys/firmware/efi/efivars).